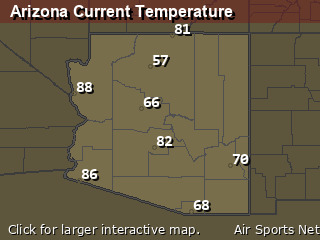 Change location by the zip code or city,state: or search for other weather forecast locations in Arizona by name. This Afternoon... Sunny, with a high near 82. West northwest wind around 6 mph. Tonight... Mostly clear, with a low around 51. West northwest wind 6 to 8 mph becoming south southwest after midnight. Friday... Sunny, with a high near 83. 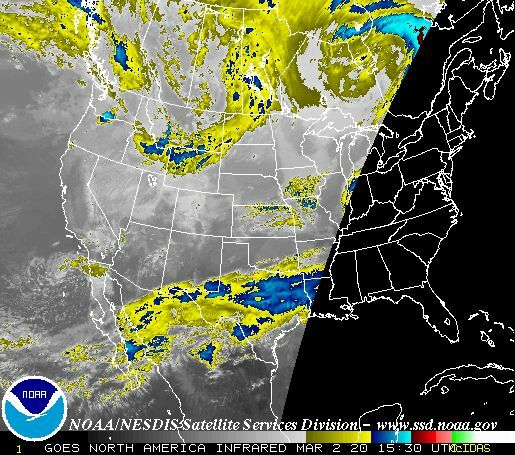 West southwest wind 6 to 11 mph increasing to 13 to 18 mph in the afternoon. Winds could gust as high as 32 mph. Friday Night... Mostly clear, with a low around 49. 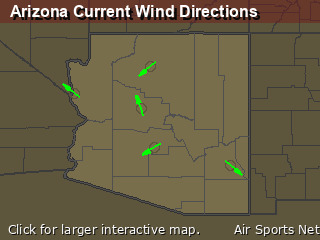 West southwest wind 15 to 20 mph decreasing to 7 to 12 mph after midnight. Winds could gust as high as 32 mph. Saturday... Sunny, with a high near 82. West southwest wind 7 to 16 mph, with gusts as high as 26 mph. Saturday Night... Mostly clear, with a low around 50. Sunday... Sunny, with a high near 81. Sunday Night... Mostly clear, with a low around 48. Monday... Mostly sunny, with a high near 77. Breezy. Monday Night... Partly cloudy, with a low around 45. Breezy. Tuesday... Sunny, with a high near 71. Tuesday Night... Mostly clear, with a low around 44. Wednesday... Sunny, with a high near 72.